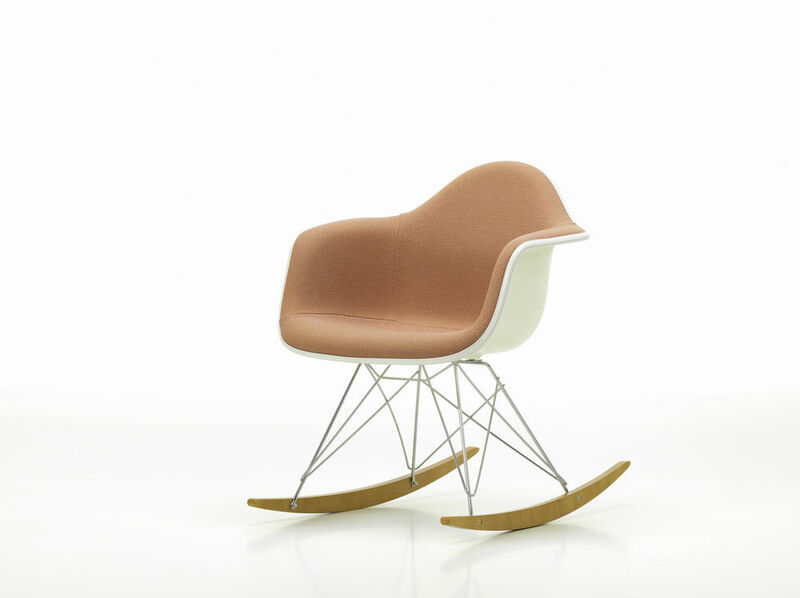 On the occasion of the Spring Campaign 2019, Vitra launches two special editions of the iconic rocking chair by Charles and Ray Eames. 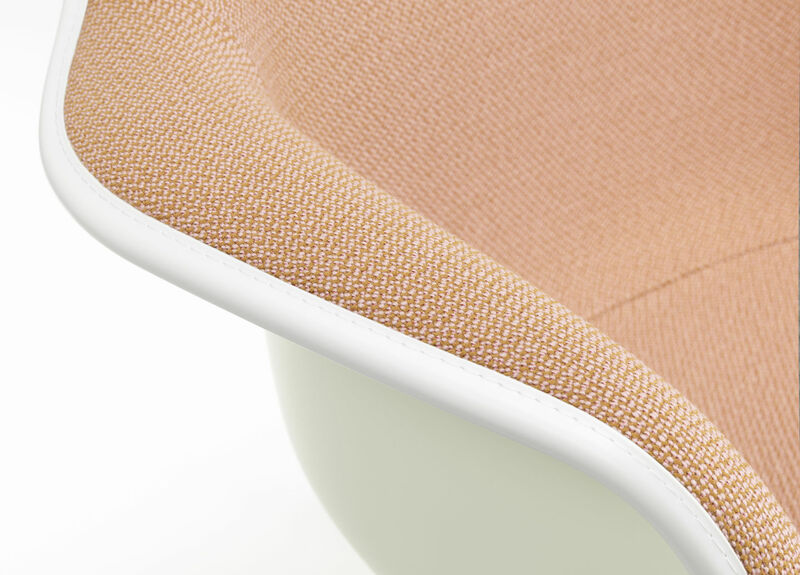 The full padding, which is normally always covered with Hopsak fabric, is available in two colors with two live tones of Credo fabric: light pink / cognac and mother of pearl / black. 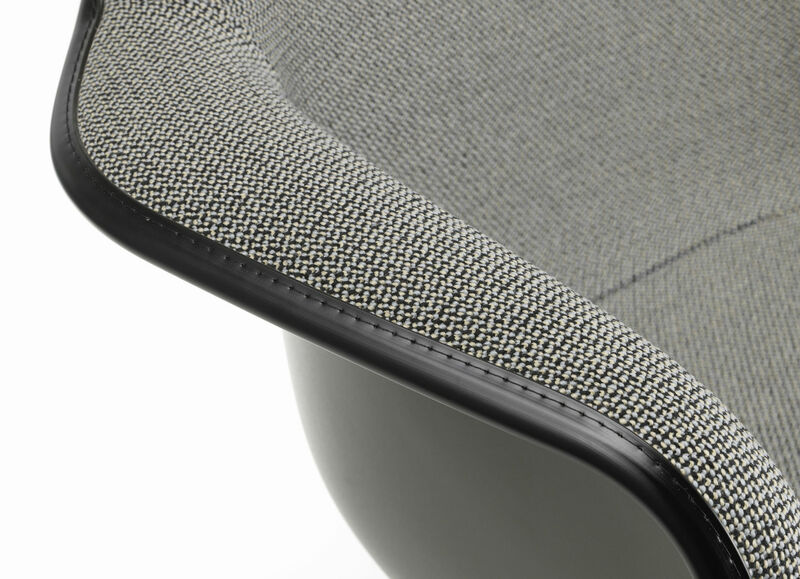 The shell, the base and the scales are adapted to the colors of the fabric, so that the consumer can choose a clear and light version or a dark and elegant version. 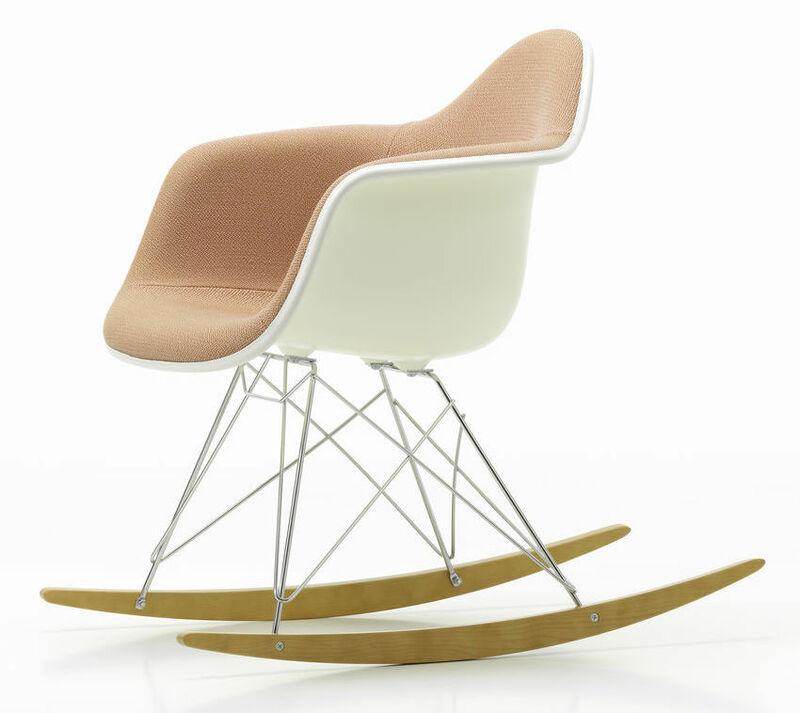 The Plastic Armchairs were presented for the first time as part of the "Low Cost Furniture Design" competition organized by the Museum of Modern Art in New York. The seats with their synthetic hull with organic lines were then equipped with different legs and have long since become the classic furniture of the 20th century. RAR Spring Special Credo Editions are available until the end of 2019.